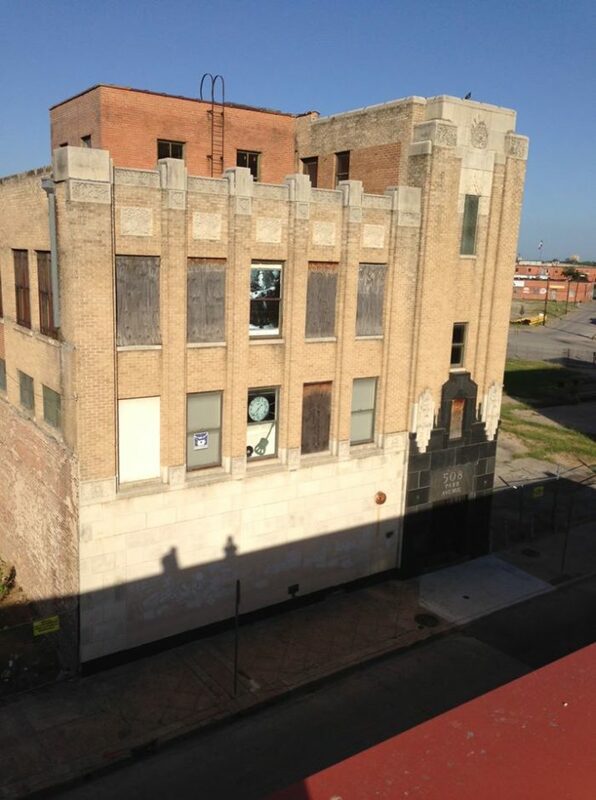 This three-story Art Deco structure was once part of America's early music scene. 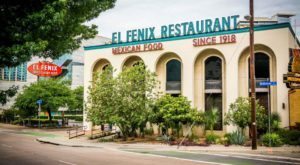 The building is considered a proud example of a Zigzag Moderne architecture. 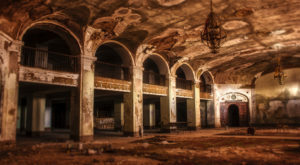 Its last renovation was in 1963, when it was mostly gutted of all its original interior walls. 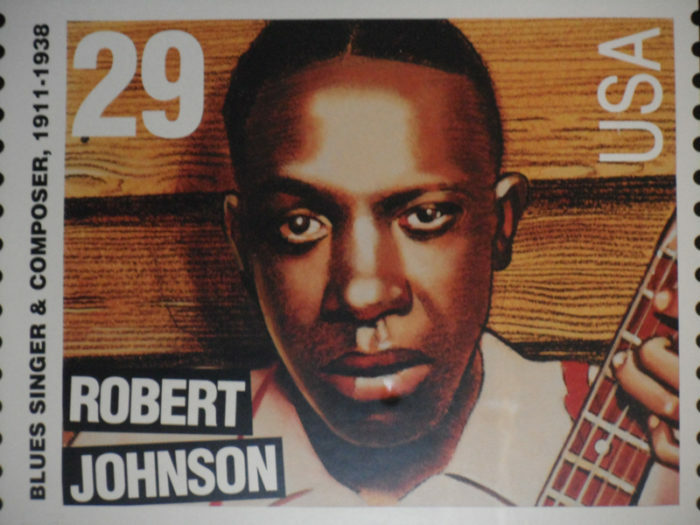 Renowned blues artist Robert Johnson, as shown here on a commemorative stamp, recorded half of his songs here in 1937. 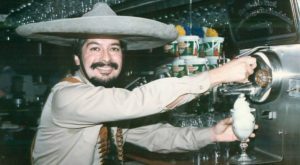 Other notable performers, including Gene Autry, Bob Wills, Light Crust Doughboys, and Eric Clapton recorded here as well. In 1937, Johnson recorded about half of his 29 songs there. 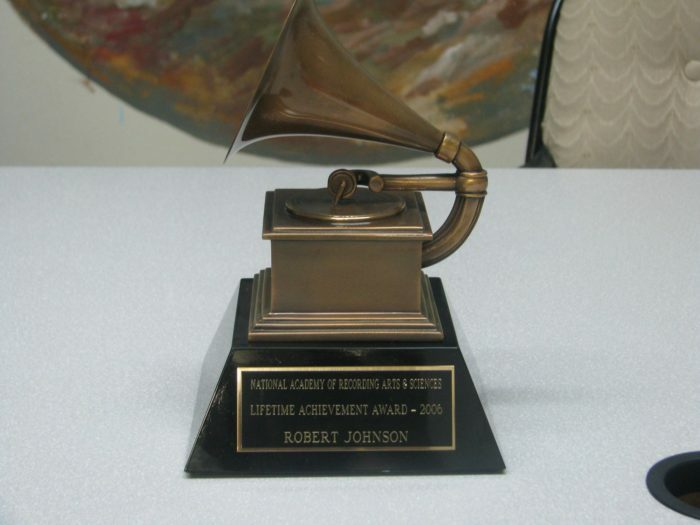 In 2006, Johnson was awarded a Lifetime Achievement Award by the National Academy of Recording Arts & Sciences. 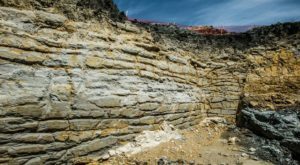 The building eventually fell out of favor. 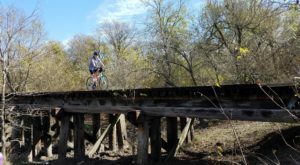 It was abandoned and considered an eyesore. 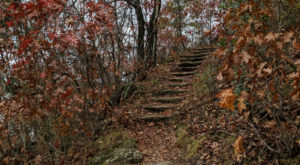 It had been repeatedly vandalized and anything of value stripped. There was talk of it being torn down. 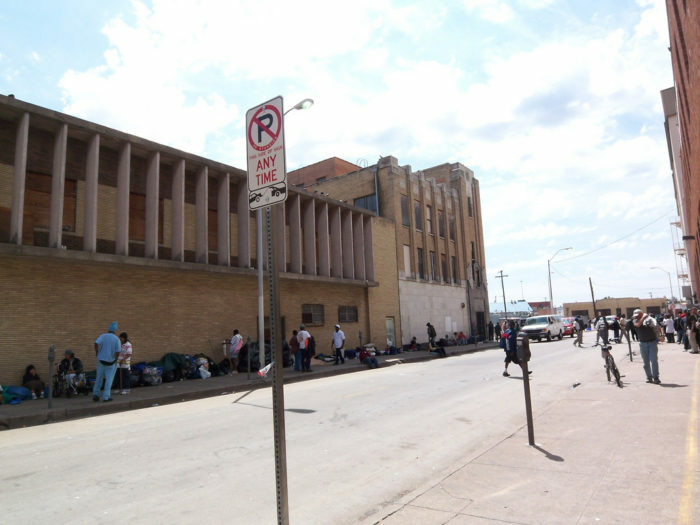 Next door to it was the Stewpot, a community center run by First Presbyterian Church that provides medical services and counseling to Dallas' homeless population. The Stewpot and Church had a vision and purchased the dilapidated building in 2011. 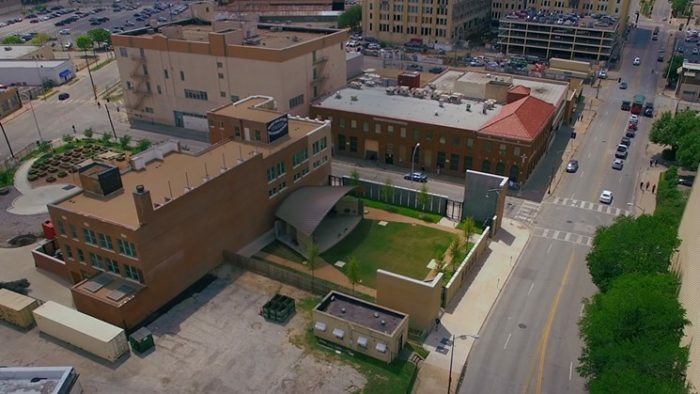 It began raising funds to create a multi-use social campus with a museum of street culture, an amphitheater, community garden, recording studio, and art space. 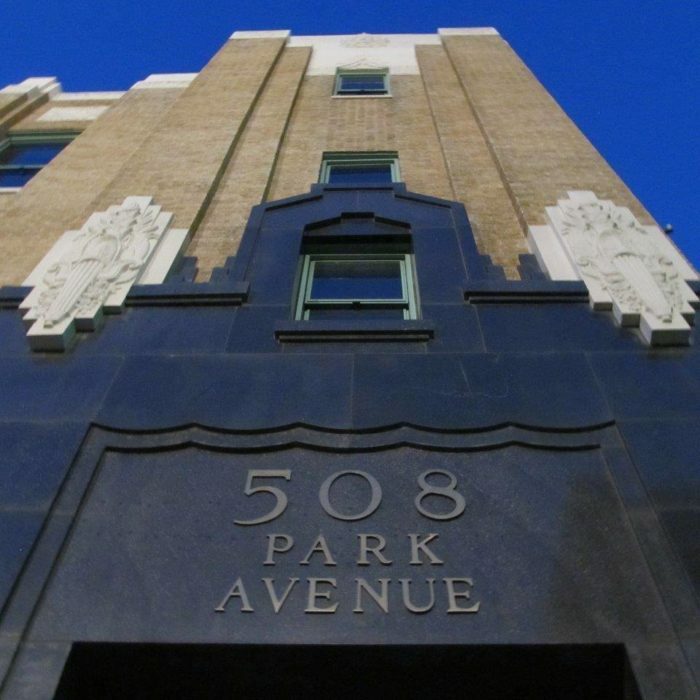 The Encore Park Project Committee determined to return 508 Park as much as possible to how it appeared in 1930, when construction on the building was completed and historically significant events happened there. Work continues on the building and progress will be seen in stages, but what a vision this will be! Warner Bros. signage has been restored to its original glory on the side of 508. A bronze sculpture wall called "The Birth of a City" has been added. 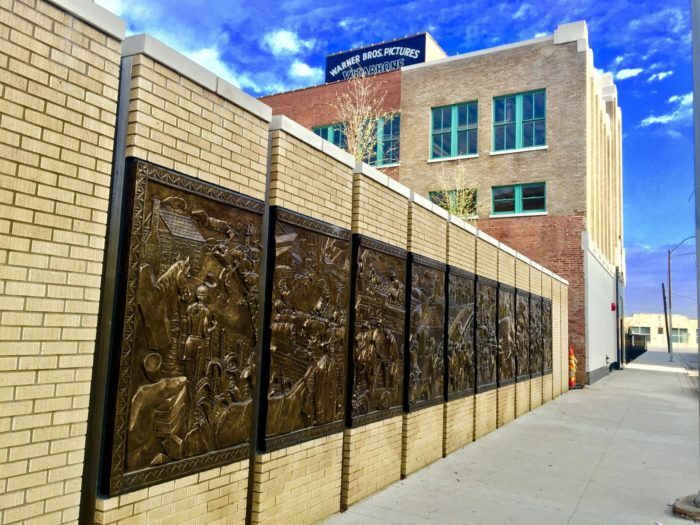 The 10-panel sculpture wall features the 1930s era with iconic and lesser-known stories unique to Dallas. 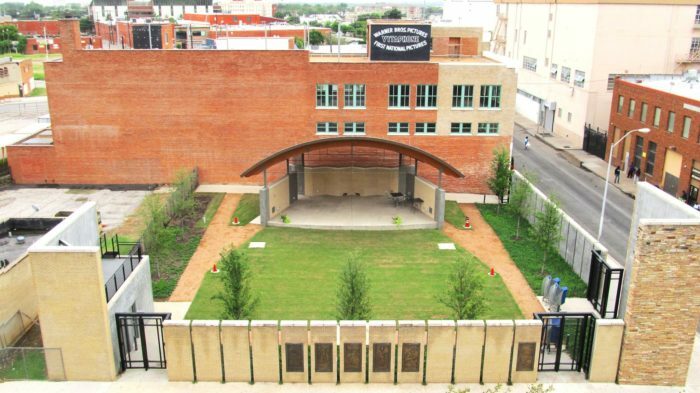 An outdoor amphitheater was built for public performances and to celebrate the importance of music. 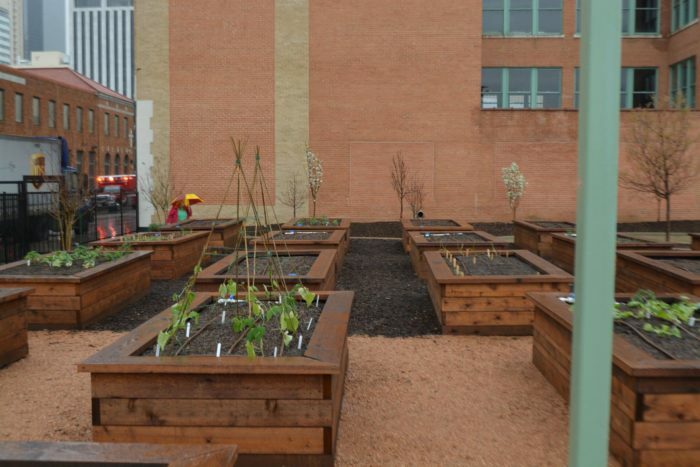 The park area also features a community garden that connects nature with the right to healthy food. It provides guests opportunities for employment as well as garden-sourced meals. 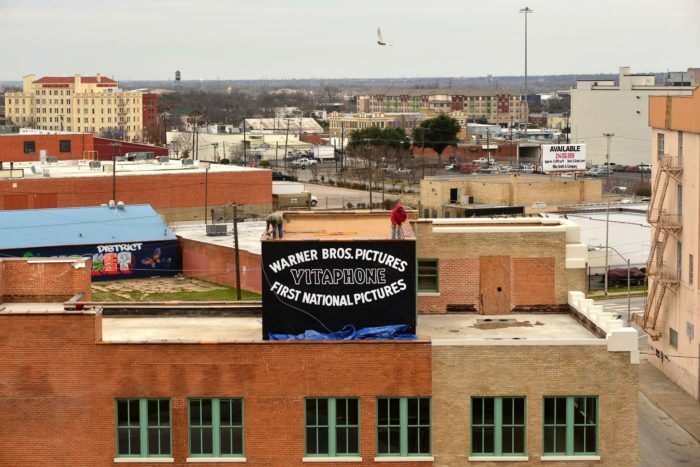 The collaborative effort has transformed an eyesore into a source of pride for Dallas. Future phases will provide additional attractions and refinements, and will open as funding allows. 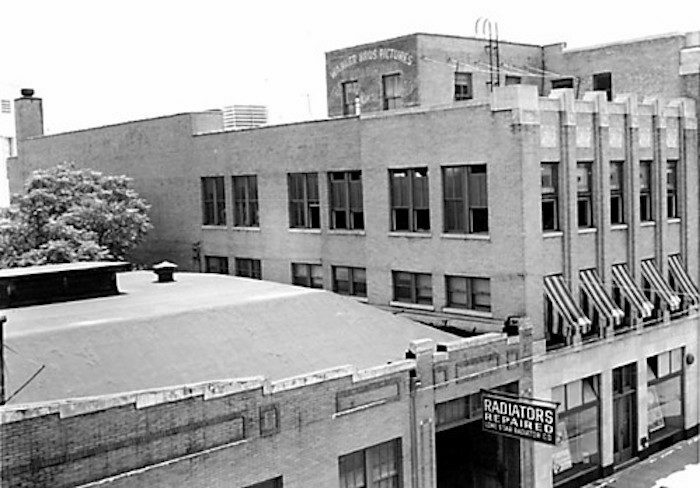 Have you visited this part of Dallas, either in the present or in the past, or perhaps watched this building’s rebirth to a rightful place of city history? 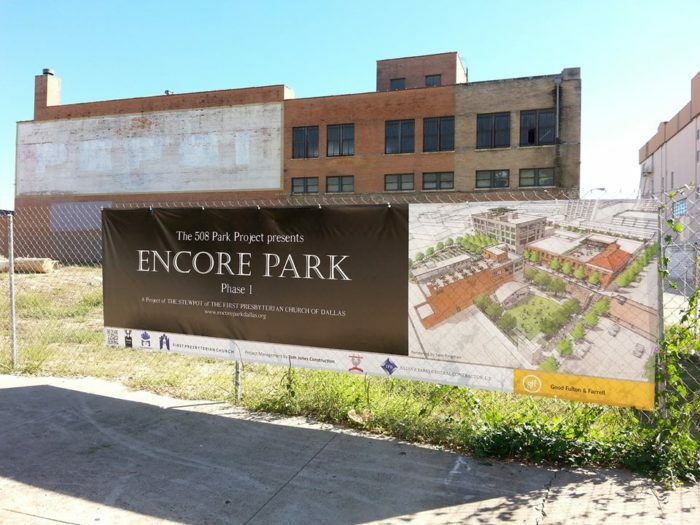 Keep abreast of the Encore Park’s progress on its website. 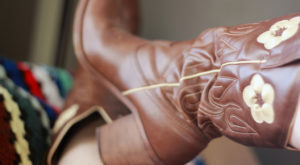 More changes will be happening soon!